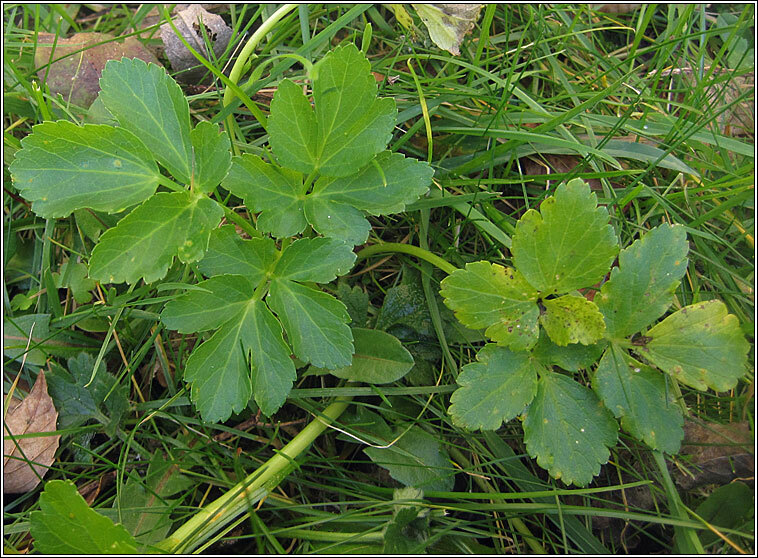 Habitat: Widespread, usually coastal on waste ground, roadsides and cliffs. 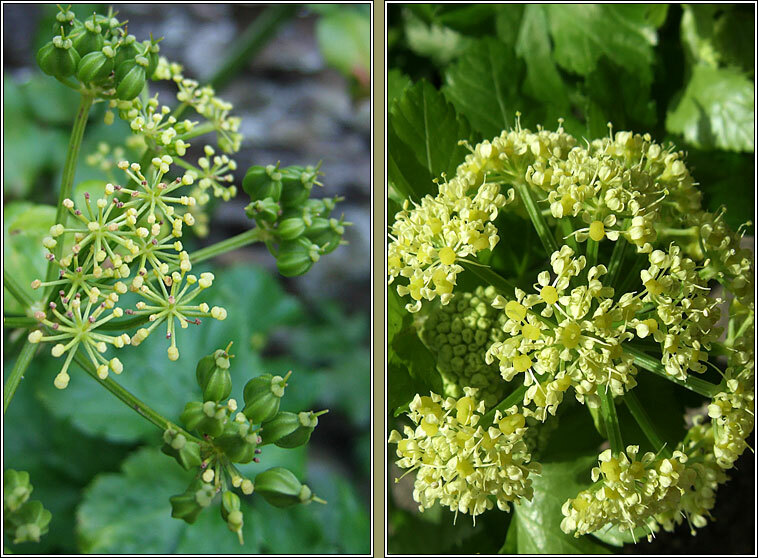 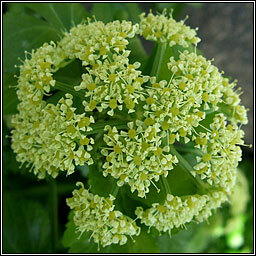 A stout hairless plant, celery-scented, with yellow-green flowers in many-rayed umbels. 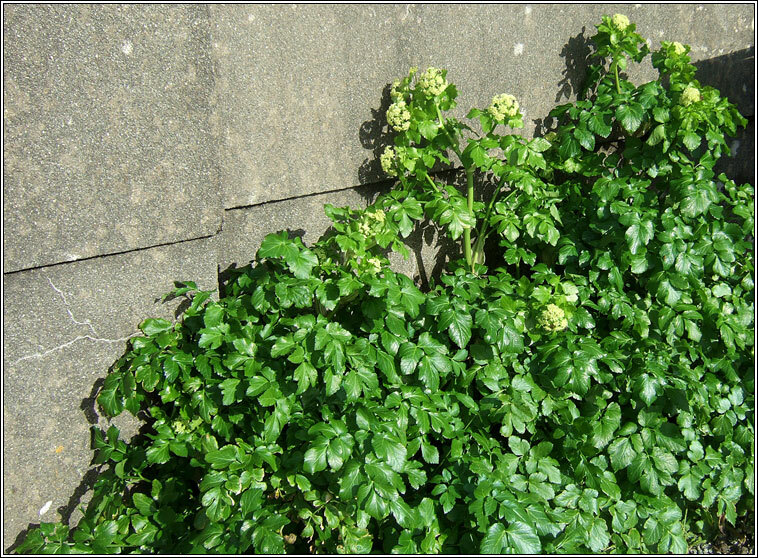 Shiny dark green leaves, basal leaves with stalked leaflets.